Extensively renovated in 2015 – 2016! Don’t let the size fool you! Walk in to a welcoming living room and remodeled kitchen in an open floorplan with wood laminate flooring. The kitchen boasts white cabinets, rich granite counters, stainless steel appliances, backsplash, pendant lights and looks onto the back yard. On the right is a HUGE master bedroom (was 2 small bedrooms) with plenty of space to add an en-suite master bathroom. The adjacent laundry closet provides access to plumbing. The updated bathroom features a tub/shower, new white vanity, mirror, lighting, toilet and hardware. Split floor plan. Also, a light & bright 2nd bedroom, plus bonus/Florida room that leads to an open patio and oversized fenced back yard. The yard has SO much potential!! There is alley access and double gates in the rear allowing for RV or boat parking and space for a pool, garage, storage unit, etc. 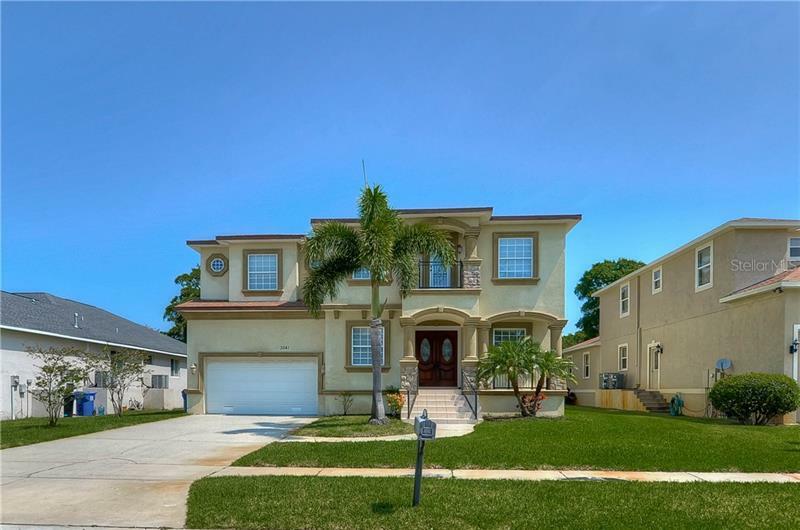 The location is highly desirable, in close proximity to I-275, Roosevelt Blvd, world-class beaches, airports, medical, major league sports, dining, nightlife and downtown St. Petersburg and so much more! Updates also include, electrical service upgrade, new internal water supply plumbing, new exterior doors, fresh interior and exterior paint, and new fencing for your enclosed backyard with swing gate in rear with ally entrance, suitable for boat/RV parking. Roof was replaced in 2015. Don’t miss this one – move-in ready!